Another fine day, though not as Spring-like as on yesterday’s Friday Walk with Sarah. but a good day for walking, which I did, from mid-day ’til about 6 o’clock. All around the south end and the centre of Liverpool. There was a vague theme to the walk. I’m working on one or possibly two blog posts about Liverpool in the period of 1753 to 1831. Covering the life of William Roscoe, the great abolitionist (those are his dates) and the development of the city in those years. So today I was walking around in the late 18th and early 19th centuries, looking for what we still have from those times. I won’t show you all the pictures I gathered on this subject, just a few, saving most for the ‘real’ posts. And also, for some of the time I was just walking around enjoying myself early in the 21st century. So I’ll show you some pictures of that too. 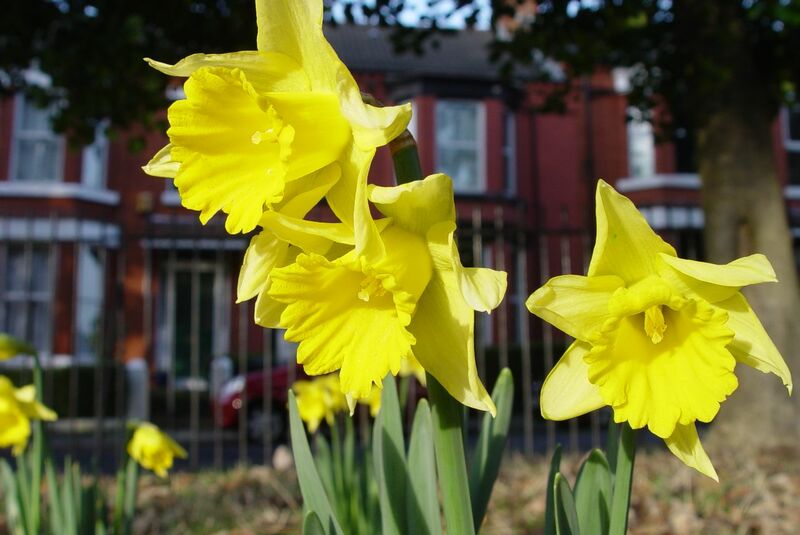 Facing south in Greenbank Park, the daffodils are out. Very welcome, but the first week in January? Good news in Lark Lane, the old Chandler’s is about to open as a Post Office. Lark Lane’s been a good few years without a Post Office, usually a key factor in the decline of a street. So this will be very good for the area. On Park Road. Disused for years, but what a gem. I’ve often driven past and thought ‘I must take a photograph of that, or one day I’ll come past here and it’ll have been demolished.’ Well. photograph now taken. And another half dozen much like it. Just to be on the safe side. 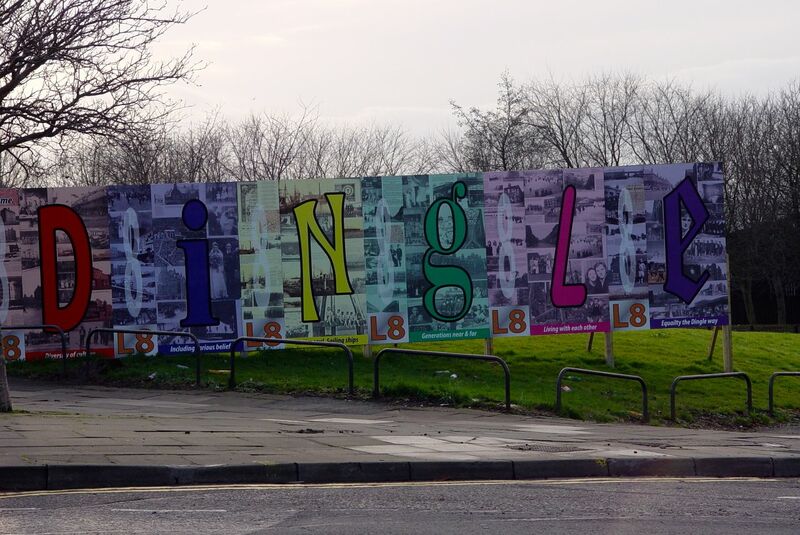 Where Park Road meets Parliament Street, this splendid entry sign for the Dingle, Liverpool 8. And then we go back, to the late 1700s. The Church of St James. A Georgian Church from 1775. Disused since 1974, but now attracting some restoration funding. Apparently contains ‘monuments related to the slave trade’ (Wikipedia). Next, in and out of the back streets off Jamaica Street. 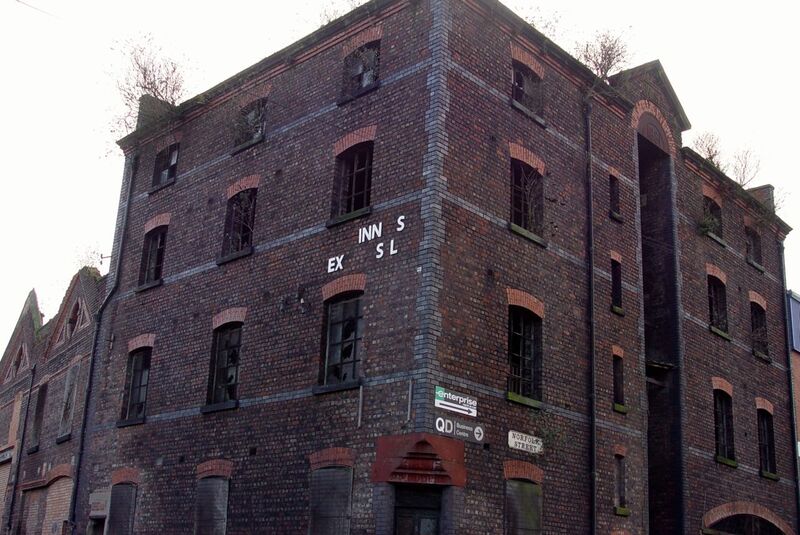 These former docks warehouses look very old, but I suspect I’ll find this was built after the years I’m looking at. 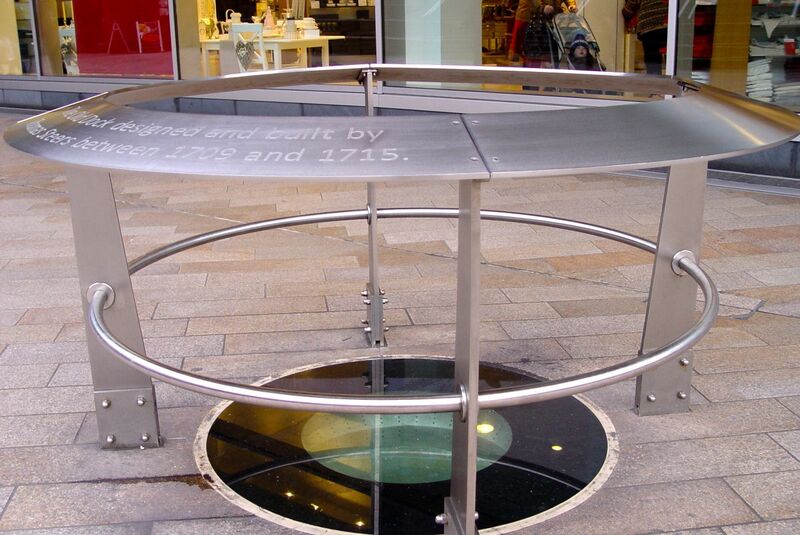 In Liverpool One, the shopping centre, there’s this viewing hole, where you can look down at a bit of the wall from the original Liverpool Dock, constructed between 1709 and 1715. Back to the 1700s. 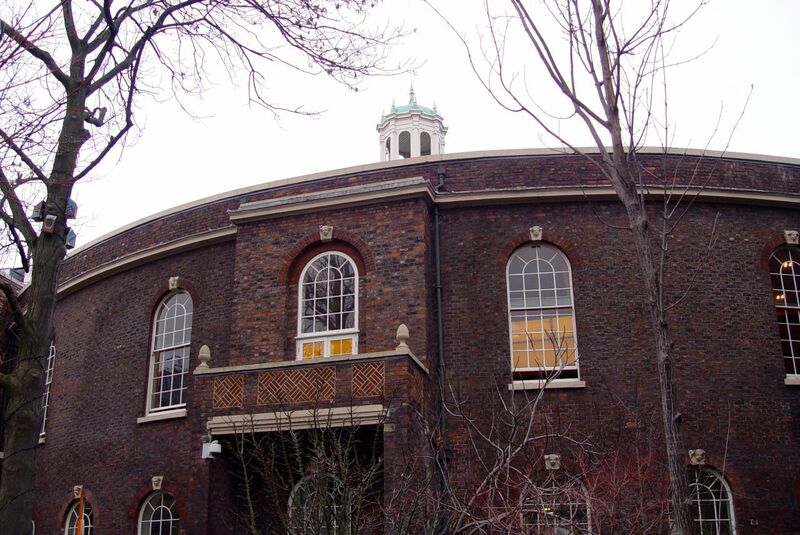 ‘The Charity School’ – The Bluecoat. 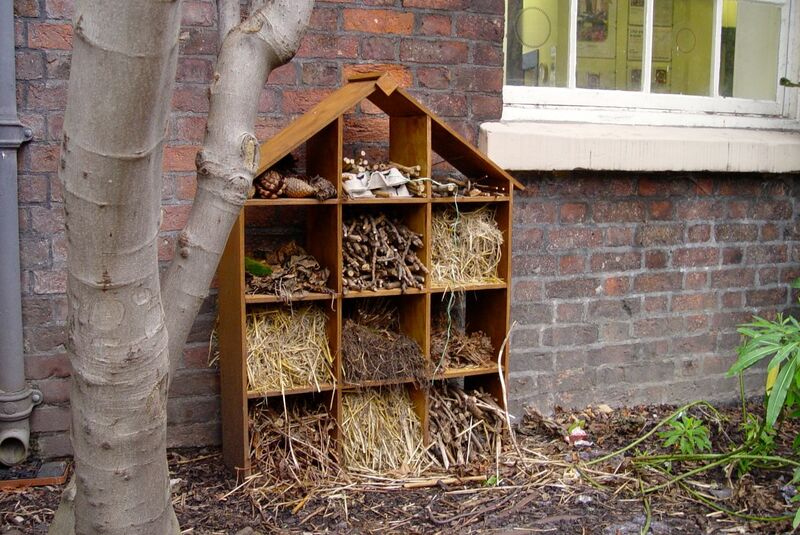 And in the garden here, a little wildlife habitat? Now I’m looking for William Roscoe. Who was born in a house on Mount Pleasant, then on the edge of the city, in 1753. He’s buried here too. In Roscoe Memorial Gardens. In the shadow of this piece of 1970s brutalism. Leading off Mount Pleasant is Roscoe Street. And at the far end of it The Roscoe Head. 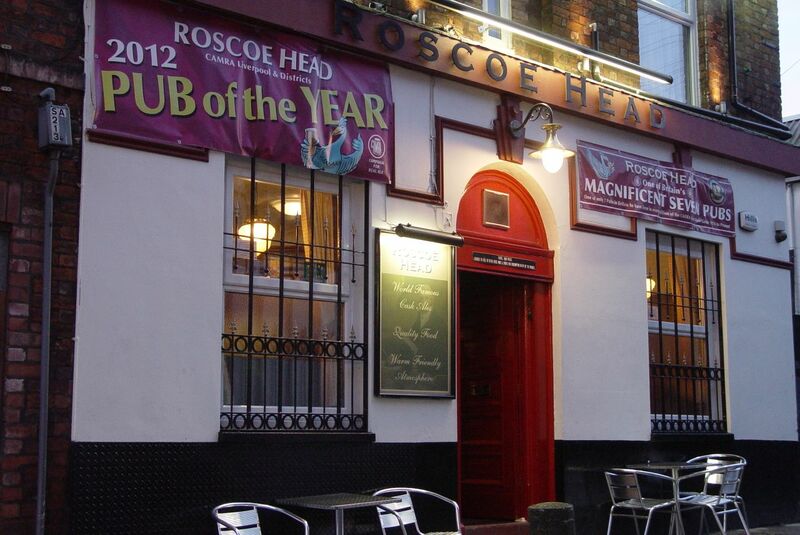 One of only seven pubs to have been in every edition of the Good Beer Guide since it started. And the cultural heart of Liverpool Housing Trust in the 1970s and 80s. The Roscoe. Best pub in the world. And turning round from my musings on degrees of separation between William Roscoe, LHT and me, I see this marvel. And walking home past the Cathedral the sky continues to glow. Probably much like it glowed in those 200 years ago days of William Roscoe, in fact! The chandlers shop in Lark Lane was once owned by a Mr and Mrs Gorman, who also owned a shop in Mill Street. It was the only shop or premises around in the eighties that still had gas lighting. When we had the power cuts they still had light. Now, Coleman’s depository, Park Road. My father was a driver for Coleman’s and he told me that the cellar in Park Road used to flood each time there was heavy rain. He also believed it was the River Alt running underneath but can’t guarantee that. St James church, I was christened there in 1936. But so far unable to find any record of my birth. The church I believe was built originally to accommodate black people of the area, so they could pray. Perhaps you could shed some light on these things for me? As for Coleman’s, it’s definitely not the River Alt flowing under it, that meanders around North Liverpool and enters the Mersey at Hightown. Two local possibilities are a stream called ‘The Dingles’ or the stream that was used to form the lake in Princes Park (both now culverted). I get this information from ‘Underground Liverpool’ by Jim Moore, though his maps are too small scale to be exact about what’s under Coleman’s. Fascinating though, to hear how hollow are the boasts built into the brickwork of the building. ‘Spinning’ i.e. lying being clearly not a modern phenomenon. St James was built in 1775 as a property speculation by some 26 speculators who each invested £100 each. The pews would be sold off to the highest bidders with the speculators retaining their profits. 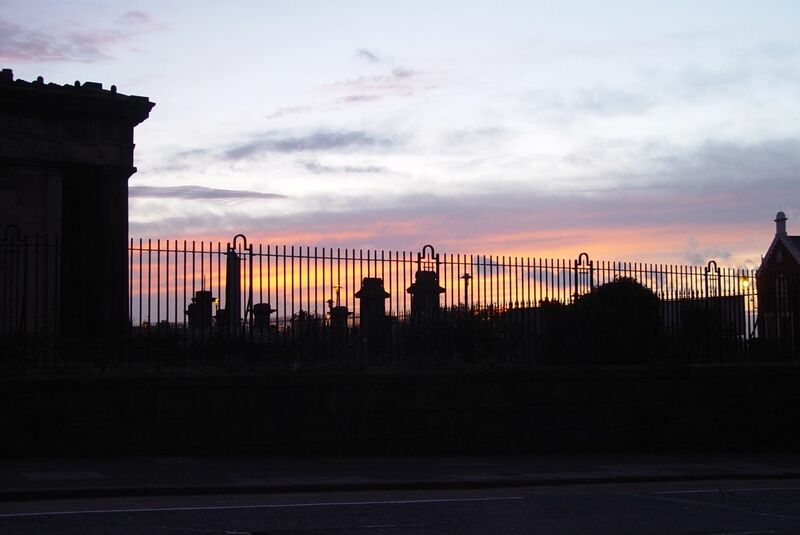 The churchyard plots were also to be sold off. 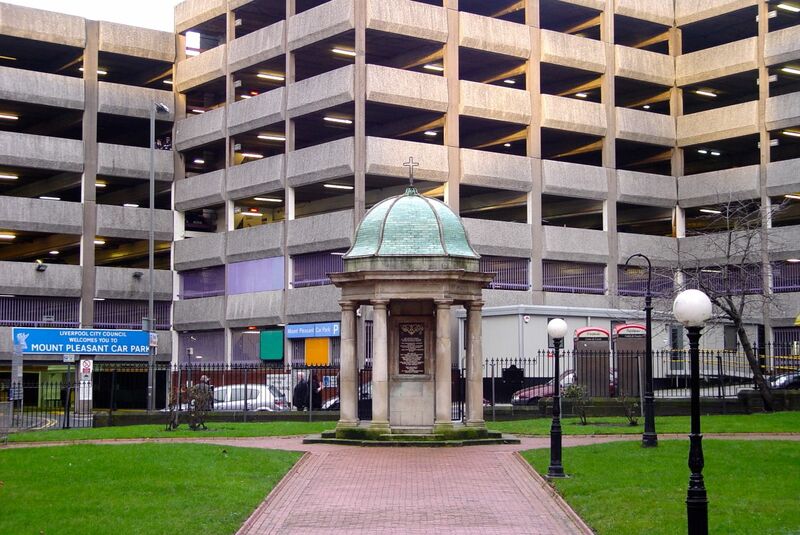 So it was a private proprietary chapel open to the more wealthy Liverpool inhabitants. 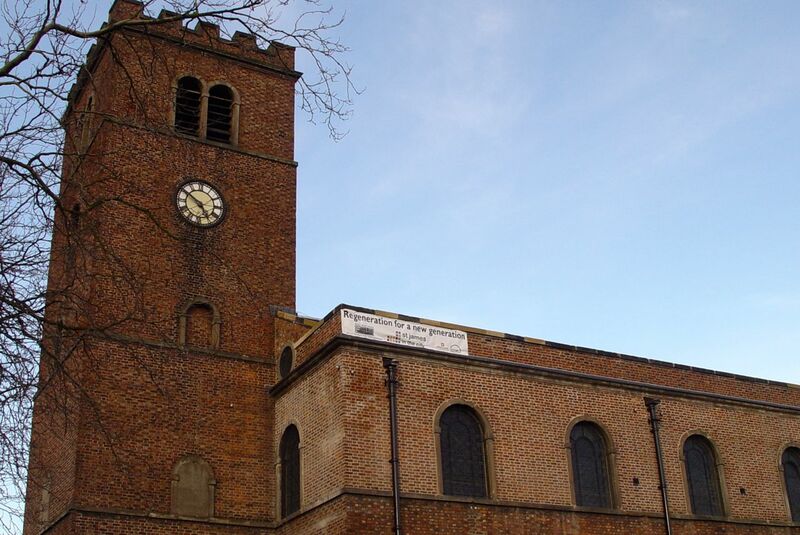 A number of black people were baptised at St James in the last quarter of the 18th C. Most of these were probably transients and were not part of the fee paying congregation. There’s no evidence that any were buried in the churchyard. Yes, I’ve heard about the Harrington plans before. 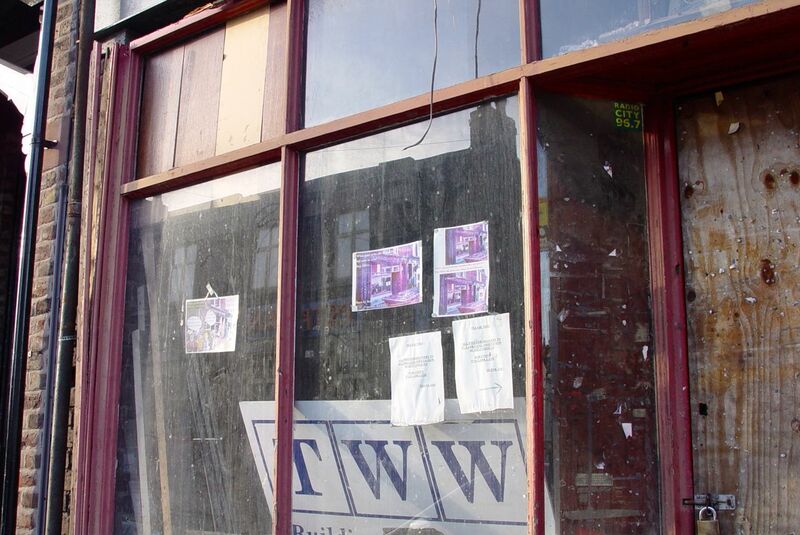 I think in relation to why Toxteth has a ‘Town Hall’ when it wasn’t a town. My comments about burials in the St James church yard here and in the 1775 piece are from the statement quoted there from one of the new Heritage Trails brochures the City have published, along with Liverpool Museums. But you sound very sure of your sources, what are they? Thanks for your comments on my bit about St James. There’s much misinformation abroad about St James and its history. My sources are unpublished material from the Lancashire and Liverpool Record Offices. I’ve read the heritage trail brochures about Toxteth. Some of the information in them is suspect. I don’t have the one about St James to hand otherwise I could be more specific. The only published information about St James and its history is its 150th anniversary brochure published in 1925. Otherwise you need to go to contemporary sources. 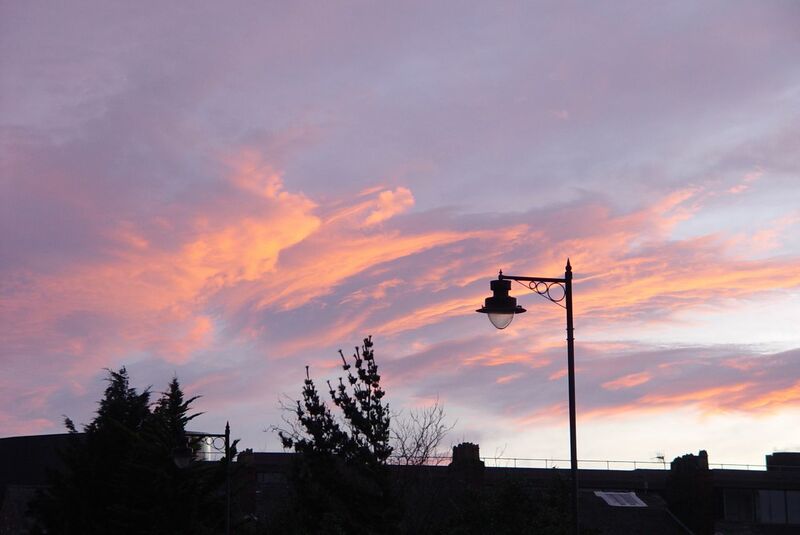 I just love the name ‘Jamaica Street’, exotic, exciting and conjures up thoughts of faraway countries. The reality of the history behind the name was probably much more brutal but I can dream. Love the modernism of the viewing hole in Liverpool One and well done The Bluecoat for their lovely wildlife ‘house’. Shame about the concrete monstrosity behind the Roscoe Memorial. Maybe designers, urbanists & architects should turn their attention to creating sympathetic works of architecture for where people park their cars. In the style (or not) of the surrounding architecture and make parking your car in a multi storey car park a great experience instead of the nightmare it usually is. Now that the Paradise Street bus station is gone, the Mount Pleasant car park is easily the ugliest structure in Liverpool. I’d demolish, promote the use of public transport and bikes – and not replace it with anything like the slab of student apartment blocks off Lime Street, the next ugliest structure in Liverpool. I’m glad I’m not the only one who thinks those student apartment blocks are an eyesore. 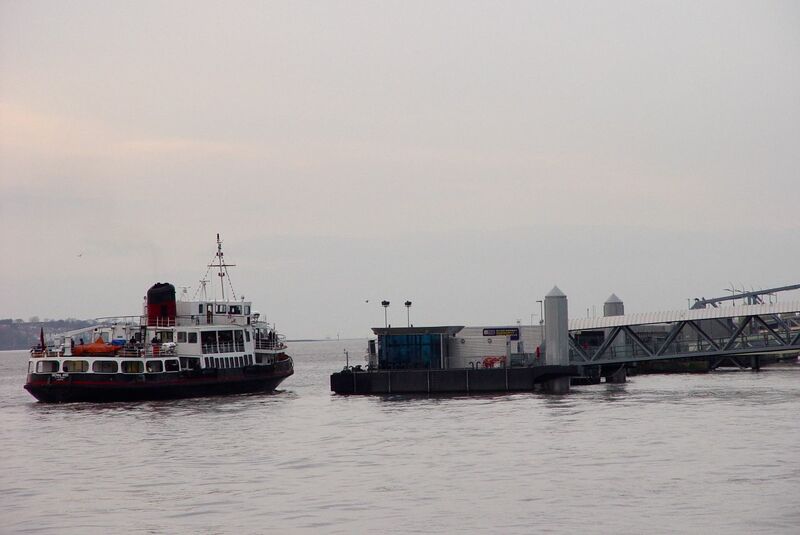 It beggars belief that Liverpool City council approved them. I had to laugh a couple of years ago, when there were discussions about what to build, to replace Concourse House, in front of Lime Street station. On one scheme, English Heritage advised that they couldn’t approve it, because, it would “spoil” the surrounding area. Many of the Planning approvals over the years beggar belief. My ‘favourite’ was the whole Foster House complex (swept away by Liverpool One), built on the wreckage of the beautiful Customs House. This monster defaced the waterfront and that side of the city centre and was inhabited for years by the city council themselves. So they do know what it’s like to inhabit soul destroying buildings. Hear Hear – as a council employee who worked for too many years in the Tinlings building (known on my floor as “Tinglings” building for it’s ability to cause electric shocks when you drank the water) I can totally concur with the “soul destroying buildings” bit. As for Colemans it always gave my sister and I a chuckle on our way into town… It was always “Colemans fireproof suppository” to us. I sympathise Dom. Though isn’t it interesting how when anything, however ‘tired’ is put into an architectural drawing, it can look sleek and whizzy again? Probably how the monster got built in the first place. I couldn’t agree more my friend. I used to pass that Coleman’s bldg on many occasions as I lived in the Dingle. And we all often used that same expression. Thank you Mandy, it’s fascinating what you notice when you walk around as if it’s the 18th century. 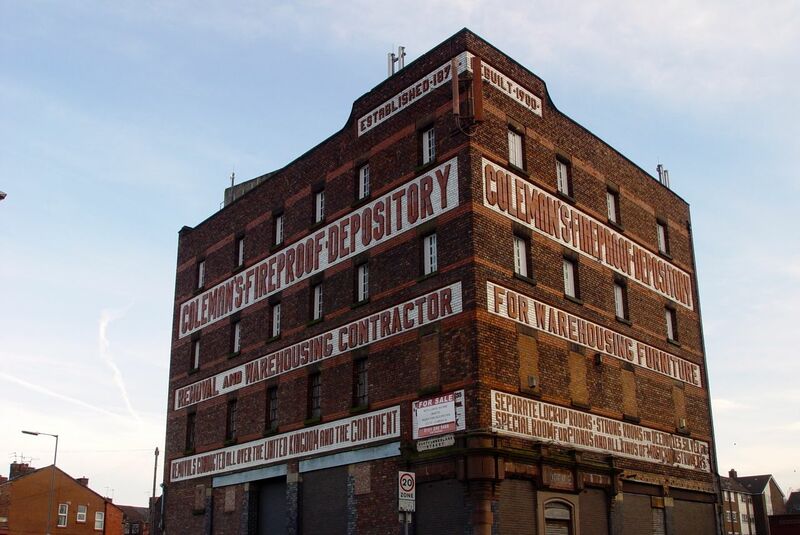 I’ve been looking around for more information about the Depository, and it’s for sale, yours for £550,000! Four floors a cellar and a goods lift.Can’t find any photos of the inside, but at Christmas it was used for a carol service here. Hi Mandy, The monstrosities in the city are really evident when you see the way that St Nicholas church near the Liver Buildings is being hemmed in by concrete. I wonder if these will be there as long as the church?